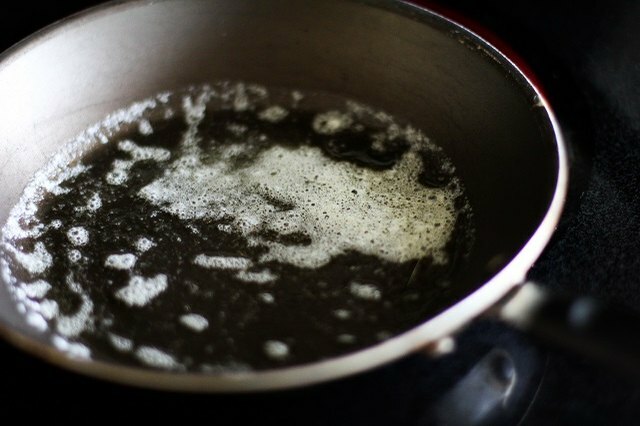 Add 2 tablespoons of oil to a skillet, and heat over medium-high. 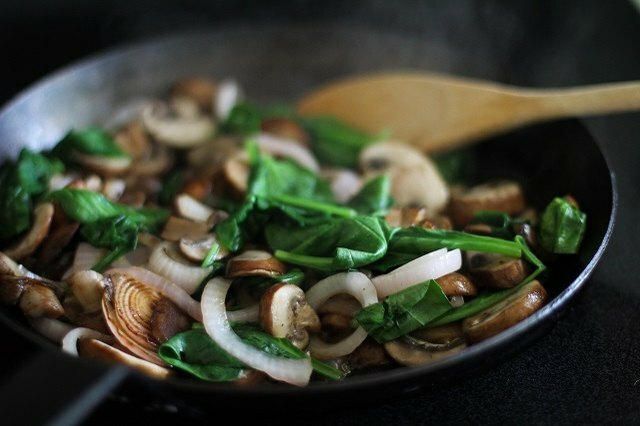 Add the onion and mushrooms to saute, stirring occasionally until the mushrooms have browned and the onion is translucent, about 5 to 8 minutes. Add the baby spinach and cook until wilted, about 3 minutes. Add the salt, and then set these aside until ready to use. 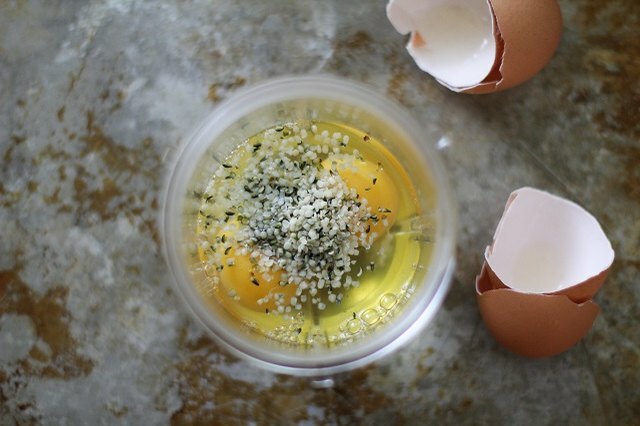 Add 2 to 3 eggs to a small blender with one tablespoon of hemp seeds. Use 2 eggs for a small 5-inch omelet or 3 eggs for a large 8-inch omelet. 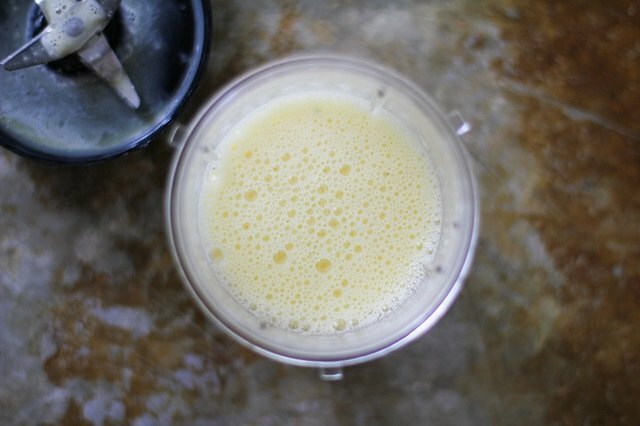 Blend the eggs and seeds until very well combined. Add one tablespoon of butter to a skillet. 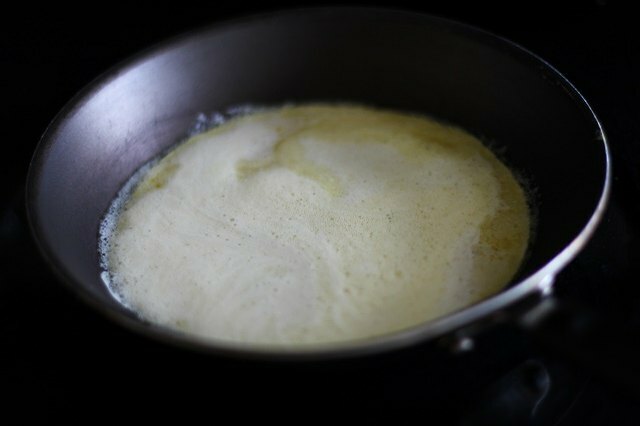 Heat to medium-high, and spread the butter over the full surface of the skillet. Pour the beaten egg and hemp seed mixture into the hot skillet. Allow it to cook until the sides firm up and the center has set, about 3 to 5 minutes. 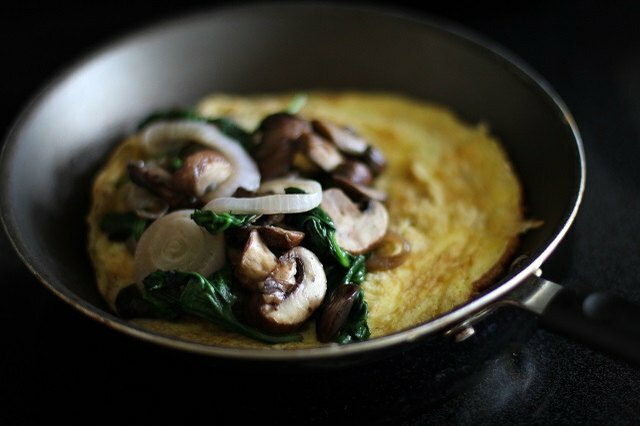 Add half of your sauteed vegetables to one side of the omelet. Use a spatula to fold the omelet in half. Serve with hot sauce or salsa. You also can sprinkle crumbled feta cheese inside the omelet or instead add jack or cheddar cheese for a gooey omelet. 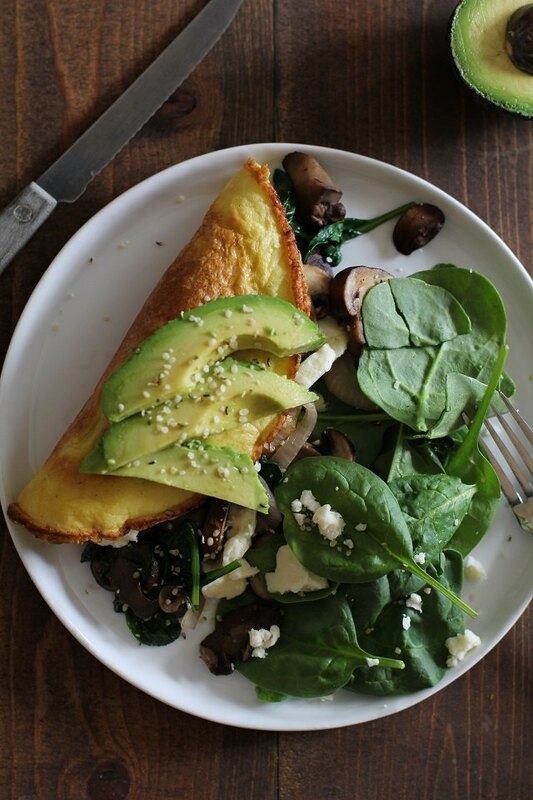 Serve with sliced avocado and fresh spinach on the side. Repeat the process for a second omelet. 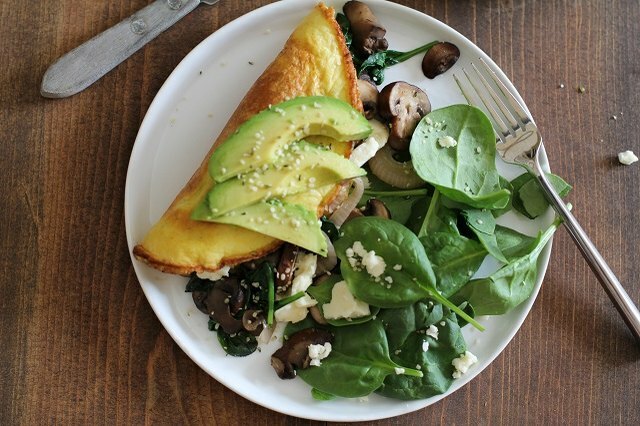 To speed up the omelet-making process, add all of the eggs to a blender with 2 tablespoons of hemp seeds. Use half of the egg mixture for each omelet. Use a small skillet if making a 2-egg omelet, and use a medium-sized skillet if making a 3-egg omelet. You can replace the hemp seeds with chia seeds or ground flax seeds. Note that hemp seeds contain a higher concentration of omega-3 and omega-6 fatty acids than both chia and flax seeds.